There is a great opportunity to join a reputable and well-established manufacturing group specialised in bags. This company has over 10000 staff with manufacturing sites across China and South East Asia. This company is looking for someone who's passionate for results and able to drive the team to success. Reporting to the company CMO, you will be in charge of multiple merchandising teams in different plants. You will maintain and develop strong strategic relationships with the company's clients (reputable international brands) and managing the overall merchandising strategy and operations and providing strong direction and leadership to the teams. You should have 15 years or above of experience in merchandising with manufacturer with proven experience working with international brands. Handbags knowledge and experience are an advantage, however the client is also open to those from garment or accessories or shoes fields. Personality wise, you should be someone who's able to see the bigger business picture with vision and passion to lead the team and contribute to the business. You should have strong client management skills with strong negotiation skills. This role will require heavy travel so you must be flexible and okay with traveling. 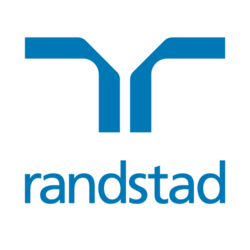 Interested parties please send your CV to nora.liu@randstad.com.hk OR call Nora Liu at 2232 3427 or 9314 5992. Thanks!